Independent Curators International (ICI) has worked with over 1,000 curators, 2,600 artists and 550 art spaces in 55 countries around the world. This year, ICI celebrates its 40th anniversary. We reached out to Renaud Proch, ICI's Executive Director, who shares with us his perspective on this pioneering and innovative organization. 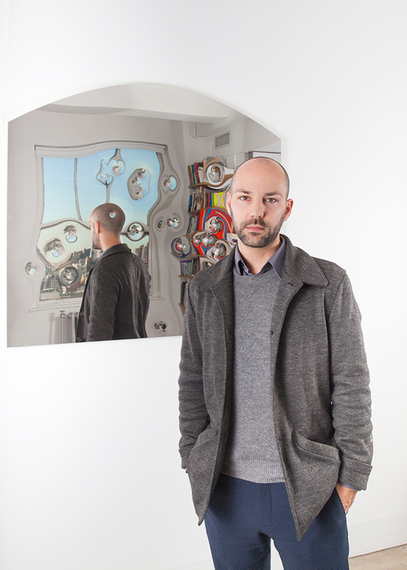 In this conversation, Renaud Proch talks to us about ICI's core values, enabling implementation, and the importance of networks and shared knowledge and resources in the curatorial field. Lilia Ziamou: This year, ICI turns 40. Tell us about the organization. What was the motivation for starting ICI? How did ICI's mission evolve over time to capture changes in the curatorial field? Renaud Proch: ICI works with curators to produce exhibitions and public programs that are presented around the world, and it forges international networks of curators for collaboration and the sharing of knowledge. ICI transformed and changed a lot in the last six years. The curatorial field itself has changed dramatically in that time. Fifteen years ago there were just five graduate courses in curatorial studies in the world, and maybe eight books on curatorial practice or the history of exhibitions for contemporary and modern art. The theoretical frameworks or educational platforms that frame the work of curators were yet to be created. In the last ten years, we've seen an unprecedented expansion of the theoretical field of curating and the emergence of a discourse of curating. So through public programs, publications, research initiatives and professional developments opportunities for emerging curators, ICI has offered multiple perspectives on these developments through the points of view of curators from around the world. Lilia Ziamou: You have a unique model that leverages networks and collaborations. Can you elaborate? Renaud Proch: It is important to mention that we are not a membership organization. ICI follows an open source model. Our collaborators are curators who we've chosen to work with on the production of exhibitions, and art spaces who choose to present them; they're curators and broad audiences who visit our shows, attend or present at our public programs, seek resources on our website, through our publications, etc. We're very active and our networks grow quickly as a result. For example, since the Curatorial Intensive, our professional development program, began 5 years ago we have formed a network of over 360 alumni from 65 countries, people who can seek out one another for collaboration, exchange and continued learning. We have an international network of art spaces in over 400 cities that have presented our exhibitions in the last 40 years. All this creates a unique set of multiple, parallel international perspectives on contemporary art, that are not determined by one narrative guided by an institution, its collection, or its building. It's like we're able to speak different languages a once to reflect the complexities of contemporary culture. Lilia Ziamou: How does ICI help with the curators' professional development? Renaud Proch: In 2009, under the new leadership of Kate Fowle, ICI added new series of public programs, talks and conferences in New York, but also in other places around the country and internationally. Our goal was to give the opportunity to an interested audience, including emerging curators, to discover what curators do, how they work and think. We also created a professional development component, the Curatorial Intensive. The program is a much-needed opportunity for emerging curators already working in the field to test their ideas, meet colleagues to share knowledge and start conversations, develop a network that they can carry with them for years. You don't become a curator by learning once. You have to constantly adapt. So the idea of professional development in this way, learning among peers, is very important. There has been a fantastic response to all these changes. Lilia Ziamou: How did ICI's programs raised curators' profile to the general public? Renaud Proch: There has been a growing interest in what curators do, alongside great transformations in the roles curators play. In this context, it has been very important and rewarding to develop public programs. We do 20 events a year in our Curatorial Hub in New York, and they are always free. They allow smaller encounters with curators often from out of town. In addition we organize 5 or 6 talks at other venues in the city with curators who are generally more established. For this Curator's Perspective talk series, we usually invite international curators from around the world to present their practice. They talk about their work, their challenges, how they think, and the artists they are thinking about. Lilia Ziamou: What makes you passionate about your job? Renaud Proch: I am lucky to be running an organization that was built with key ideas that were completely pioneering in 1975 but have also remained critical and relevant in contemporary culture and continue to inspire me. When Kate Fowle became ICI's Executive Director, I knew that she would be transforming the organization in very exciting ways and I was lucky to be part of that. Along the way I became really excited by the possibilities of an organization that could seek out a multiplicity of very different perspectives on contemporary art and on the work of artists as seen and supported by curators all around the world. The curators we work with are on the ground supporting local artists, they are fostering local art scenes, they are community leaders and organizers. They are engaging with their audience on critical issues through art and around art, which they trust, will make a difference in the world. To be able to experience this has been truly rewarding.